You need the right Minneapolis logistics company. Transportation services can appear bloated and complex, even to the most savvy business owner. Estimating load sizes, planning an effective circulation of goods, and selecting efficient delivery routes is a lot of work for an already demanding business. Thankfully, the pressures of maintaining these strategies don’t have to fall on you. With the assistance of Strategic Transportation’s cohesive logistical strategies, the work will be professionally completed and performed properly. Logistic consultations are necessary to ensure your business is running as smoothly as possible. Thanks to the logistic services provided by Strategic Transportation, we can help ensure your transport needs are met without excess cost, waste, or undue stress to your workload. Our logistic services are personalized and perfectly catered to your business, regardless of the size of your company or each individual job. All loads are handled on a case-by-case basis. This allows us to evaluate all influencing factors, compare them to your overall goals, and ultimately calculate the most efficient methods for transporting your goods in the most effective way possible. Find the right Minneapolis logistics company matters. Whether your transportation needs are simple or more complex, our logistic specialists can develop a strategy personalized for your business. Our logistic strategies are comprehensive, taking into account every element of your cargo’s journey. Transportation: We’ll determine which mode of transportation best suites your needs and your cargo. This helps to ensure your cargo isn’t damaged and doesn’t deteriorate. We also plan the best routs to get your cargo where it needs to be as quickly as possible, saving you time and money. Strategic Transportation has the transportation capabilities to handle a variety of types of cargo. Warehousing: Our partnership with Strategic Warehousing expands our services so we don’t just transport your goods, but we can store them. Whether you have dry goods or climate sensitive cargo, we have the warehousing capabilities to safely store them. Our logistic specialists will help to plan and coordinate your warehousing needs. Technology: Our logistic services are driven by advanced technology which allows us to coordinate shipments and communicate with drivers in real time. This means we can quickly adapt to changing conditions and prevent your shipment from being interrupted. Our research and planning team is dedicated to maximizing efficiency and minimizing effort on the part of our customers. Our logistic services focus on two vital S’s; simple and smart. 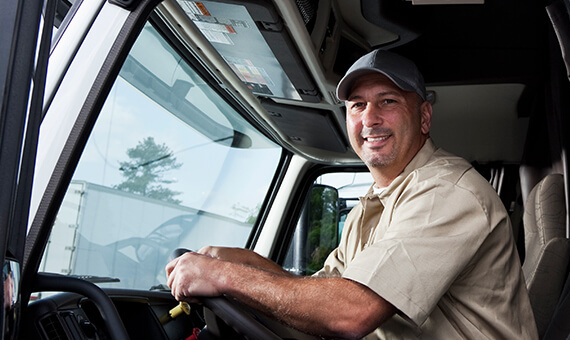 We start simple by employing only the best drivers to manage our trucks and freight. This step alone helps minimize issues with deadline adherence, inadequate vehicle expertise, and driver error. We follow up with smart ideas that cater specifically to your requested shipments. This can mean optimizing fuel efficiency or simply mapping out a necessary detour. Combined, the two S’s lead to reliable, effective delivery methods and long lasting transport strategies personalized for your business. If you’re interested in requesting a logistic consultation with Strategic Transportation, one of the top Minneapolis logistics companies, contact us for more details on how to set up an appointment.